Active Sky Next, the most widely used weather engine for PC flight simulation, provides an entirely new level of realism to your FSX: Steam Edition experience! Advanced technologies enable incredible levels of accuracy and smoothness. Realistic radar simulation, cloud position awareness and synchronized ambient effects, brand new air effects, brand new thunderstorm depictions, microbursts, thick overcast, smooth cloud transitions, variable cloud areas, voice weather briefings and forecast data integration are just some of the features that await you! 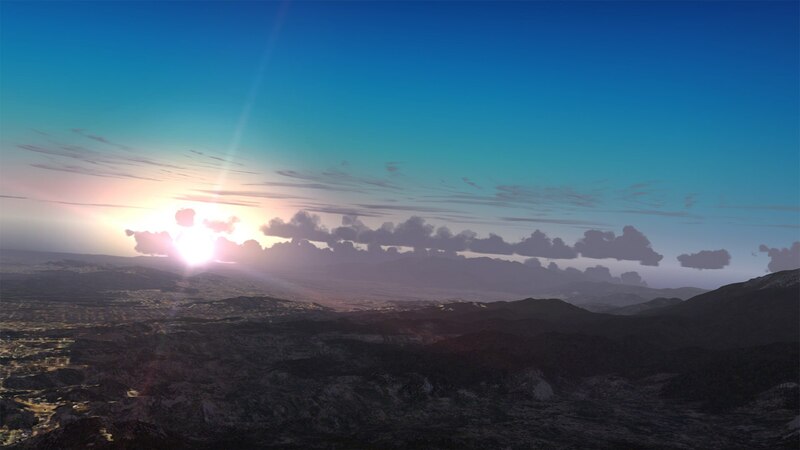 With ASN, your skies will be accurate, smooth, visually stunning and uncompressed. No longer must you configure complicated settings to achieve accuracy in certain areas while compromising others. You can have it all, all the time. ASN also introduces, for the first time ever in a weather engine: Complete cloud position awareness, synchronized cloud-based ambient weather effects and an integrated accurate radar simulation. Precipitation is accurately depicted in the proper locations within and below appropriate cloud structures. Entering or exiting a cloud brings an appropriate change in precipitation, visibility and turbulence. The exact position of clouds and precipitation cells are always synchronized between the simulator depiction and the radar display. Thunderstorms have been given great attention, utilizing a new depiction system, ambient effects, radar and cloud position synchronization. Completely new microburst, updraft and downdraft, enhanced turbulence and wind-shear effects combine to make thunderstorms beautiful yet dangerous. Using the new radar system will be key to safe piloting in the vicinity of these storms. Full International Airmet/Sigmet simulation is now provided in real time weather mode, with airmet/sigmet areas shown visually on the map and/or gauge. These areas are now also synthesized, influencing weather depiction appropriately. If a Sigmet warns against severe turbulence, convective activity, or icing, you can expect to encounter this appropriately during your flight. New voice weather briefings, a new intuitive user interface with resizable/undockable and multi-window support, redesigned high-resolution wake turbulence simulation, and enhanced air effects are just a few of the other new features in ASN.